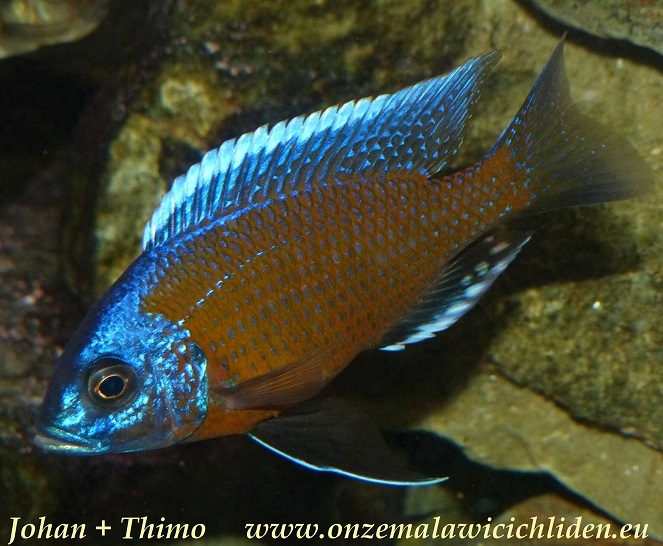 Copadichromis borleyi "Kadango" is an outrageous coloured "utaka". 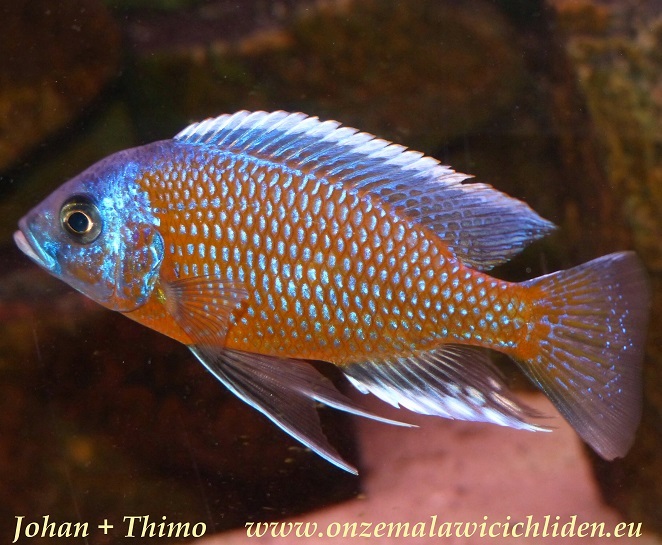 The males have a red colour - depending on the amount of light which falls on it`s body - and a blue head. 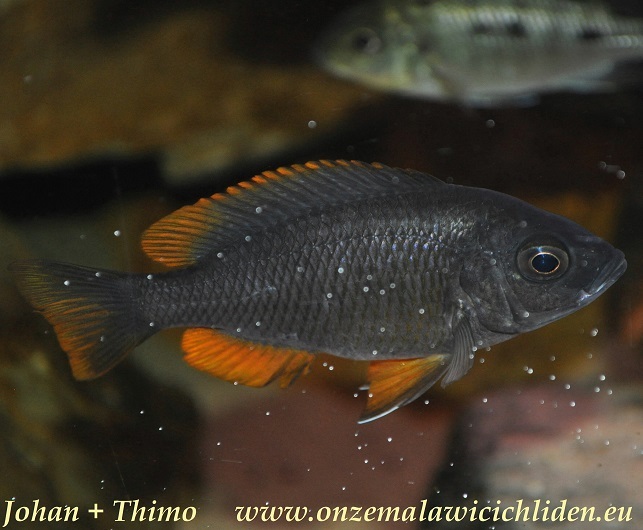 The females are silvergray with orange-red fins. 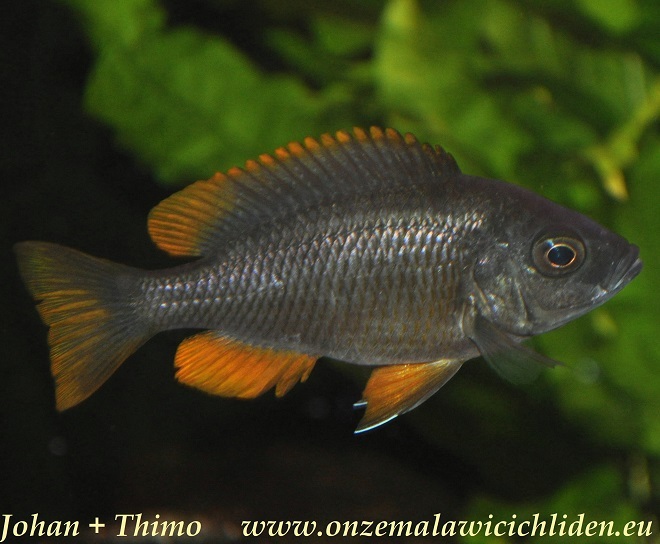 Copadichromis borleyi is living in open water, so it needs a lot of swimming space in an aquarium. This is not a good inhabitant for a small aquarium, also because of the size it reaches. 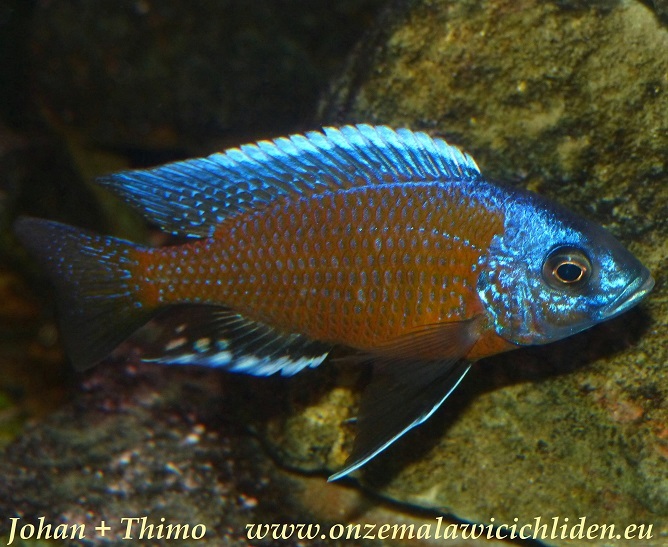 My last "Kadango" male was over 22 cm and got too big for this aquarium. I sold the entire group and replaced them with a younger group. This male was about 15 cm, the females a bit smaller. 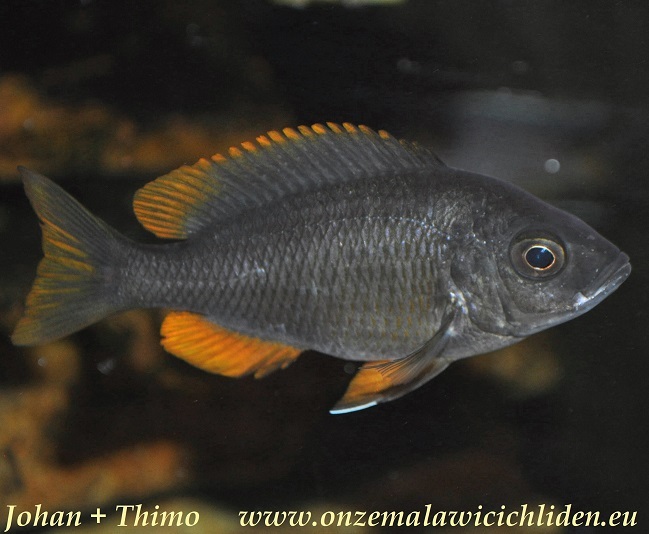 I also sold this group last year because I wanted to have more "mbuna" in my tank. 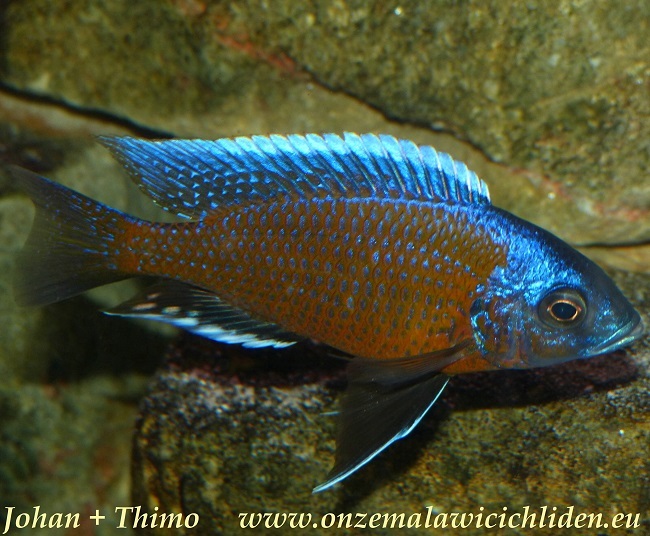 The females dropped their eggs against the side wall on the right side in the aquarium. 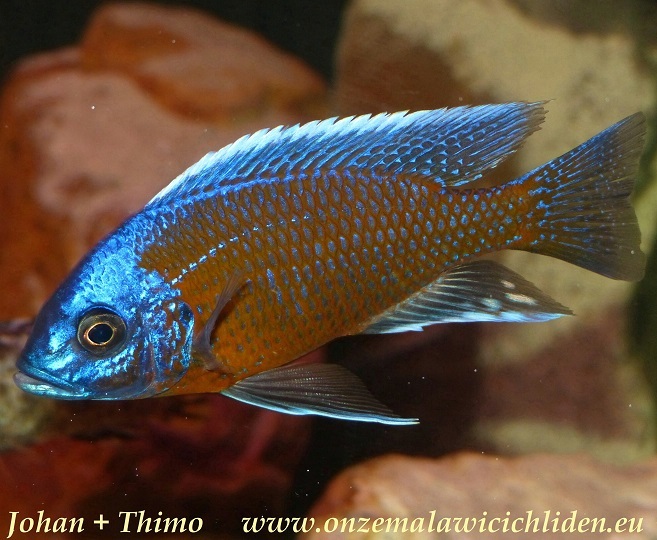 During mating-season the male defended his territory fiercely and he chased all other fish away. Otherwise, it was a quiet species which didn't care about other inhabitants. 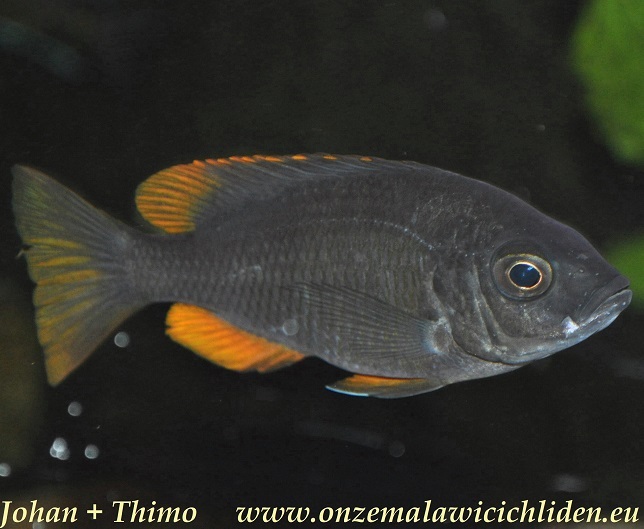 Last 2 years, from the beginning of 2016 untill November 2017, Thimo had also a group of these fish in his tank but he sold them because the male was constantly chasing behind the male of the Protomelas sp. 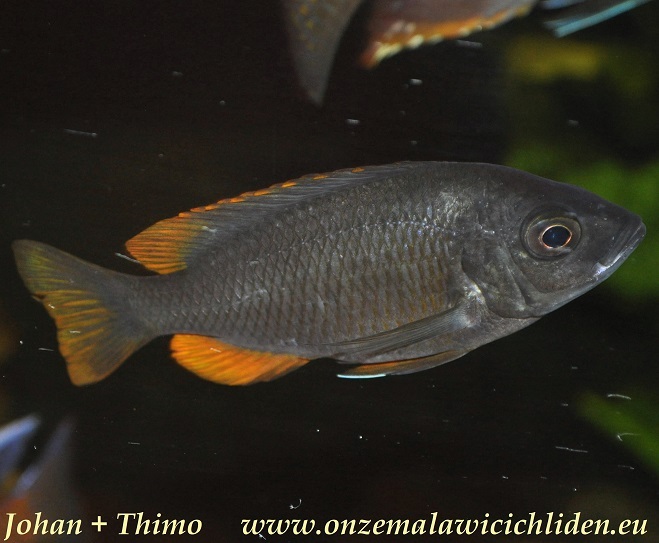 "spilonotus tanzania". This "kadango" male behaved really agressive against this "spilonotus tanzania" male and because of that this male didn´t find any place to rest and he didn´t got any color at all. This species also eated all offered food without any problem.